So I have been travelling again ! But instead of telling you where I have been, I am going to put up a few pics and let you guess ! And since I am basically a nice person, I am also going to give you a few hints ! 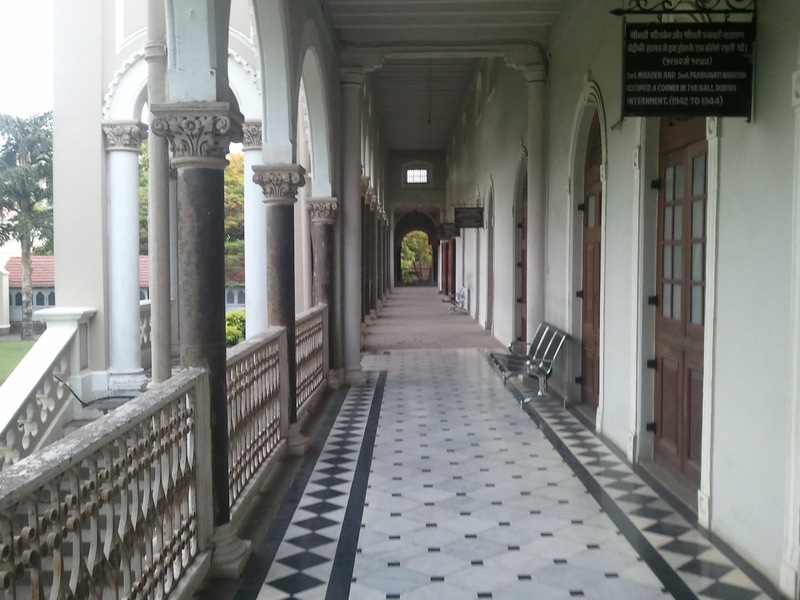 I searched and searched for the ghost that is known to haunt this place but came back disappointed ! 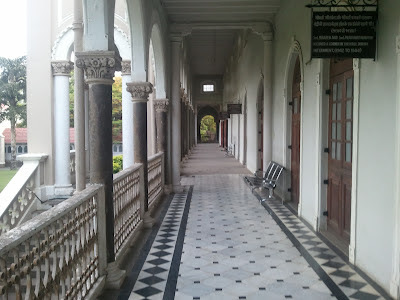 A walk down this corridor gives you an insight on the austere life of its inmates inspite of the grandeur of the place. The last two pics are of the same place. 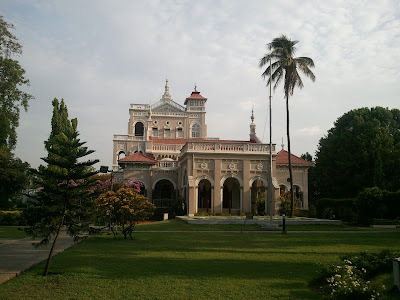 Is it the Aga Khan Palace Pune? If the above two ladies are correct then that's my answer ;-)otherwise is this in Shimla?? 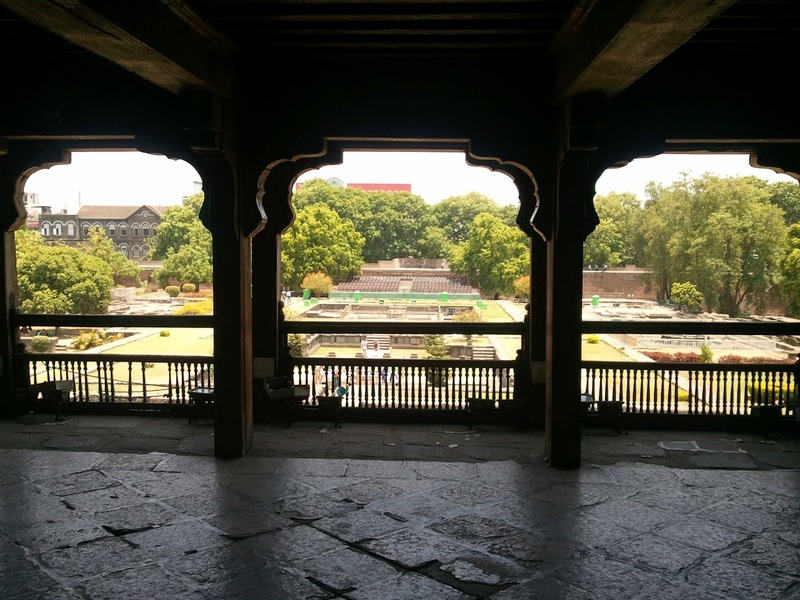 Ok Ok. Shaniwar wada and Aga khan palace? Ab itne efforts ke liye hi cookies de do. Ruchira-san, was in a hurry to get in q for 'em biscuits so forgot to answer pic 1....it is the Shaniwaarwada Fort, Pune.....pix 2 and 3 are of the Aga Khan Palace, Pune and the biscuits are the famous Shrewsbury biscuits from Kayani! shrewsbury biscuits coming your way ! @My Era - yeah you got that right ! @Bikram - how did you guess ?? Well I saw that board in the second picture it has a name and when you put the name it brings the place ..
and also I am from outside india so bonus points for that tooo .. Damn! I missed the Shrewsbury biscuits. 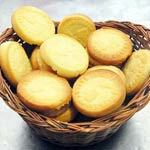 "Patting myself consolingly and murmuring, they have too many calories my girl, never mind"
The cookies gave you away! Damn! why are all things yummy loaded with fat?